Athlete Update #3 Race week is finally here! 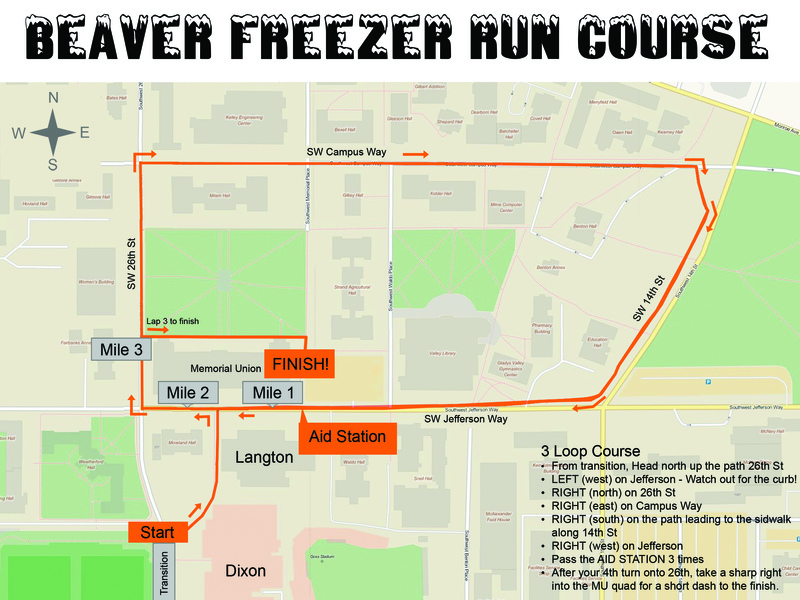 We hope you have all had a great time training up for the Beaver Freezer. Race week is here, your prep is in the books! Now, it's time for the fun part! Everything is ready to go for the race. All the information you need for race day is available on the race website and in the athlete update emails. If you have any last minute questions, feel free to ask at packet pick up where we will have Q&A sessions. We will have limited availability via email as we have to go pick and set stuff up. It has been our pleasure to plan this race for you, and we hope you all enjoy the day, rain or shine. We know we will! Showers in Dixon will be available for all participants until 2pm on race day, so bring your shampoo and a towel. The showers in Langton will only be available in the morning, so please do not leave anything in the locker rooms as we will not be able to retrieve them after the race. You can use the Dixon locker room to store stuff, but you will need to bring a lock. The Beaver Freezer and Dixon are not responsible for lost or stolen items. Awards will start at 12:30pm, so get your shower in and maybe even a sauna, then meet us back at the finish for awards and more food. Our timing file has been submitted, so at this point, we can no longer make any changes to the race. If you want to switch from the tri to the du, you can do that at packet pick up. Please do not ask to change your swim lane/wave/time because the answer is no. Thanks! Start Times are Posted Look for your pool and wave time on the website under start times. All relays will be in the Langton Pool. Lane assignments are not finalized until you get to the start. With that in mind, please get to the pool 10-15 minutes before your wave start to get your lane assignment. The Duathlon will start at 8am in front of Dixon from the transition area. Relay swims are in Langton this year. There is a relay meeting at 7:30 in Langton and all relays will start in Langton at 8:00am. Friday and Saturday pick up available at Dixon. More info here. There are about 20 spots available in the duathlon. If you know someone who wants to sign up, they can do so on Friday at packet pick up or on Saturday until 7:30am. Previous Race E-mails Did you miss the past e-mails? Check out the Athlete Update page of our website. Thanks for reading, see you at the race!